Einar Nerman (1888–1983) was a talented Swedish artist born in Norrköping. He was the younger brother of the Swedish Communist leader Ture Nerman. He also had a twin brother, Birger Nerman, who was an archeologist. Einar Nerman dropped out of Norrköping Gymnasium High School in 1905 and moved to Stockholm to study art. Then, in 1908, he moved to France, studying with Matisse at the Academie Matisse in Paris. Besides producing delightful illustrations and designs, including many celebrity caricatures and cartoons, he also wrote songs and composed music to his brother Ture’s poems. His work is sometimes said to be "Beardsleyesque." 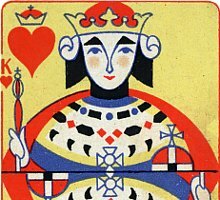 Above: art deco patience playing cards from Sweden, designed by the famous painter Einar Nerman (1888-1983) and made by Granbergs Aktiebolag, Stockholm, 1924. 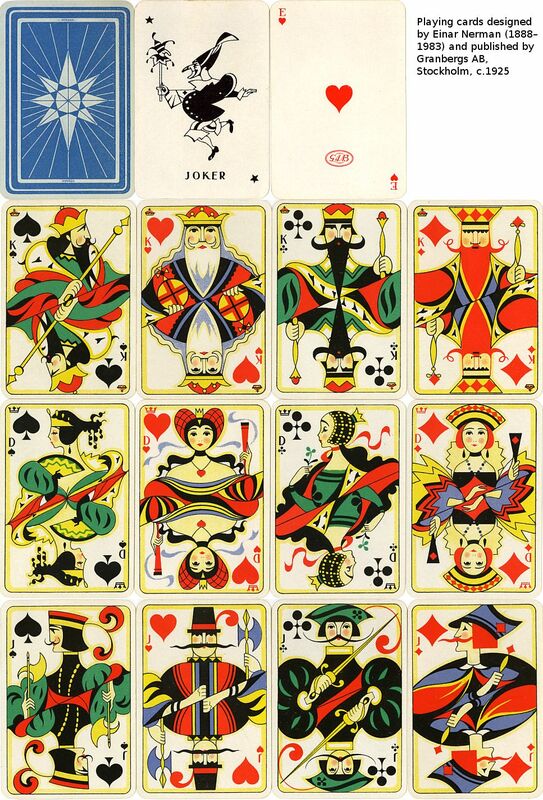 52 cards, no joker issued with patience deck. 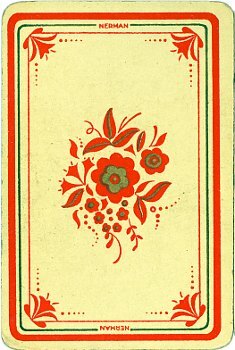 The cards measure 65x44mm. Images courtesy Barney Townshend. 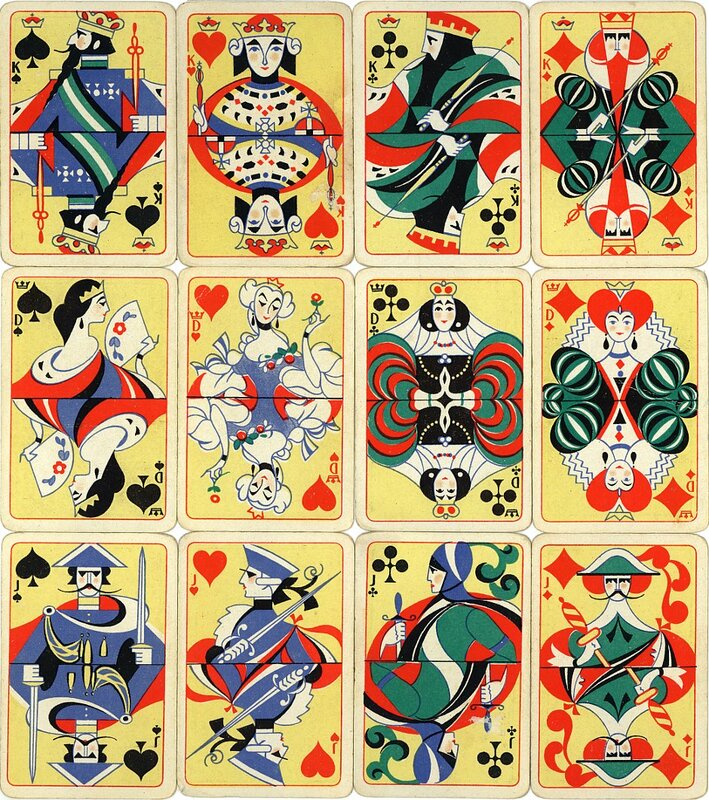 See also: Einar Nerman Playing Cards • Olle Hjortzberg.